#MeToo: Vishal's Move On MeToo Movement! Vishal who entertained us through his last film Irumbu Thirai is up with his next flick Sandakozhi 2 which is being directed by Lingusamy. He is now hosting a show named 'Naam Oruvar'. He is known to raise his voice for every piracy issues and he is set to give an entry in politics. The MeToo Movement have been trending all over and women who are affected are coming forward. Most of the celebs from film industry are raising their voice on this issue. In this case, Actor Vishal posted a tweet on his official twitter account and supports MeToo. He also stated that Amala Paul narrated him an incident and he took an action on it. 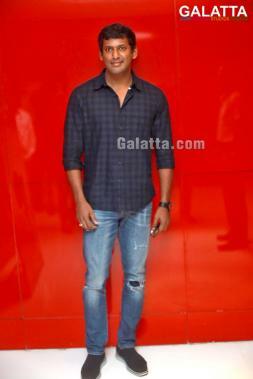 Vishal gave a debut through Chellamey and one of the leading actor in Tamil film industry. 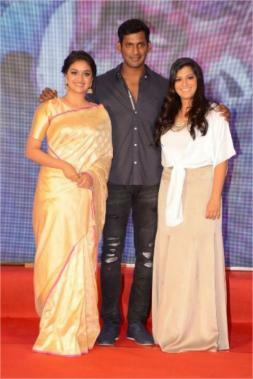 His 25th film Sandakozhi 2 is set and hitting the screens on October 18th!